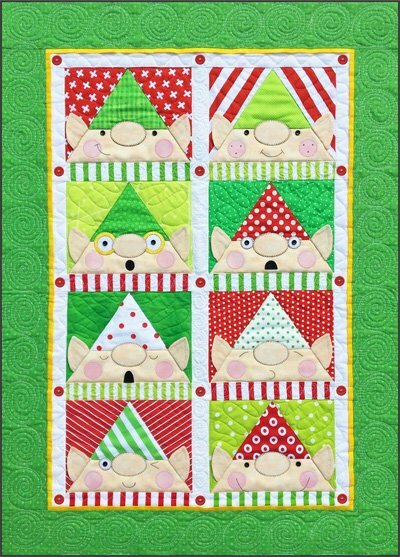 Elves download pattern is a 20 page PDF file you download and print on your home printer. 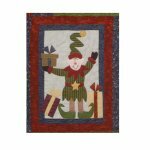 The Elves pattern includes instructions, patterns, & placement sheet to make the 22 1/2" x 31 1/2" wall hanging. The background is paper pieced and the facial features are fusible applique.